In the following interview Dr. Drew Pinsky talks about why he decided to be part of, why he believes people should still get married despite the divorce rate in America, how he would change the family court system so that it's fair, and his best advice for you. 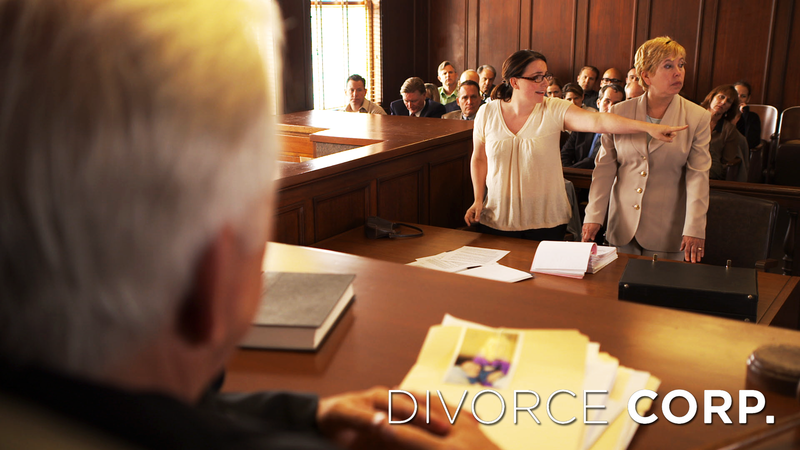 I caught up with Dr. Drew Pinsky about the new documentary film that he narrates, Divorce Corp, which exposes collusive practices in the U.S. family court system. The film is directed by Joseph Sorge and produced by both Philip Sterberg and James Scurlock. Pinsky is a practicing physician, board-certified in internal medicine and addiction medicine, and a member of the staff at Huntington Memorial Hospital. He is also an assistant clinical professor of psychiatry at the Keck USC School of Medicine. 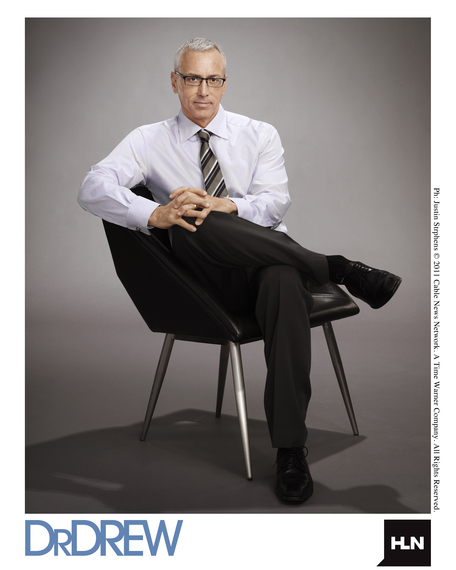 Pinsky starred in the hit reality series Celebrity Rehab With Dr. Drew, which chronicled the struggles for sobriety and the cycles of addictive disorders of a group of celebrities. Additionally, Pinsky hosts the Dr. Drew Show podcast, which is currently the number-one health podcast on iTunes, and he also co-hosts the Adam and Dr. Drew Show podcast with his former Loveline co-host Adam Carolla. Pinsky is the author of The Mirror Effect: How Celebrity Narcissism Is Seducing America and Cracked: Life on the Edge in a Rehab Clinic and is currently working on his next book, Recovering Intimacy. In the following interview he talks about why he decided to be part of this documentary, why he believes people should still get married despite the divorce rate in America, how he would change the family court system so that it's fair, and his best advice for you. Dan Schawbel: Why did you originally decide to do the narration for Divorce Corp, and why is this movie relevant today versus 10 years ago? Dr. Drew Pinsky: I don't have a comparison set of data with 10 years ago, except I look at the way the family court system is serving its own needs, and I can just imagine that this is a monster that will continue to grow. I was first attracted to the producer and director, who is a colleague, surgeon, and who recently become a biotech guy. He had a divorce, had to spend a lot of time in a family court, and he educated me that what he was seeing tipped him off to the probability that there was something wrong. When he started looking deeper, what he found surprised me. My eyes were opened by this project, and the sheer magnitude of the money wasted on divorce, which is on the order of $50 billion a year. Also, the fact that the usual constitutional privileges that you expect from the court of law really don't necessarily apply in a family court, and these aren't even really courts of law per se. For me, this whole experience was eye-opening, and I hope that people who watch it will be discouraged from getting divorces. I think that people jump to that altogether too quickly. This is a system that doesn't really serve anyone's best interest except the system itself. Schawbel: Why do you think that 50 percent of marriages end in divorce? Is that number going to increase in the next decade? Should fewer people stop getting married altogether? Pinsky: I believe in the institution, and I think it's necessary to have the stability that healthy childbearing requires. I would be mortified if we don't have more emphasis on helping people establish healthy marriages. The unfortunately reality is that kids that come from divorce are more likely to go through divorce. The wounds that come with divorce are profound and take many decades to wash out in terms of someone's interpersonal conduct. My hope is that realizing that the system that's been put in place of family law courts is not going to make them happy or serve their needs. 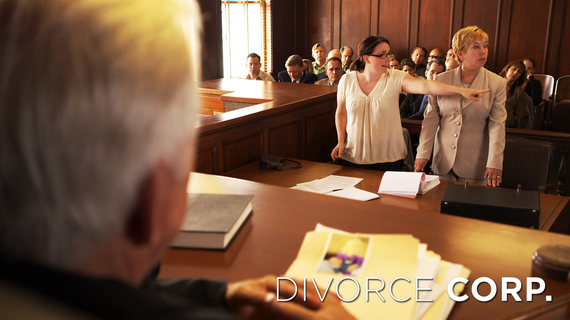 The one caveat that you'll learn from watching this film is that if you're hellbent on getting a divorce, stay out of the family court and go to mediation. Don't get involved in this, because it will eat up all of your assets just in the name of winning in the court. Schawbel: How would you change the court and legal systems so that people don't lose their children and life savings after getting a divorce? Pinsky: I'm not a legislator by nature, but I know the kinds of checks and balances that are in place in the medical system. If these sorts of ethical boundaries were violated in medicine, there would be an outcry. Just for instance, the chumminess between the attorneys that present their cases before the judges and the judges who are receiving campaign contributions from these same attorneys, often socializing with these same attorneys, often paid to put on symposiums with these law firms, and hired by these law firms later after they step down from the bench. This is unbelievable that the culture of this system is so poor from an ethical standpoint. I would put guidelines in. The review agencies that review the judges never take action when these things are brought to the attention of the oversight boards. There's an easy area for some legislation to step in. The other thing is that our usual constitutional privileges don't apply in these courts, like the fact that the judge can override your freedom of speech, he can put you in jail without a trail, he can sell your house to pay your lawyer expenses, and you have no recourse. It's a system that is out of control. The producer and director that I was describing to you thinks that family courts should be eliminated entirely. I don't know enough to take a radical position like that. It just seems to me that adding some basic ethical guidelines that other professionals are held to would do a lot. The one other thing is the fees that are accumulated regarding child custody. What I learned through working on this film was that they were offensive. Things that in clinical practice that shouldn't be more than a few hundred dollars were thousands and thousands of dollars. It was just the system serving itself. The judges had their favorite reviewers, and there was chumminess there. Doctors can refer to X-ray facilities that they own. You can't have that course in a professional system, and of course this system does. Schawbel: One of the major criticisms with the film from current reviewers is that it can't back up some of the claims that it makes. Do you think that's accurate? Pinsky: I think what's really behind that is that the stories we tell are the most dramatic stories. The criticism that I think is reasonable is that these aren't exemplary stories; these are extreme stories that make for interesting stories for a documentary. We're not saying that this is happening in family court, but we are saying here's how out of line it gets. If I were to sit critically and evaluate our work, I would say that we didn't emphasize solutions enough in the documentary. We're certainly trying to open the conversation. The idea is to have a great conversation, not tell people what to do but to get some conversation going about what's happening. Schawbel: What are your career advice tips? Pinsky: Whatever you do, you're going to work very hard if you're going to be successful. If you're going to be doing something that interrupts a lot of your life and sleep, you sure as hell better like it and be passionate about it. The interesting pattern I see with my peers is that those with a lot of money then turn around and say, "Now what am I going to do? How can I actually make a difference?" Think in terms of contributing and making a difference. I feel very fortunate as a physician to have a skill set where I can always make a difference. Thankfully, my involvement in media has been only with that single intent, to make a healthy difference for people. The other part of that that people miss is to be prepared with skills that make a difference. Don't just go, "What can I do?" Develop a skill that helps you make a difference. Dan Schawbel is a workplace speaker and the New York Times bestselling author of Promote Yourself. Subscribe to his free monthly newsletter for more career tips.